As he scrambles to the sea shortly after his birth on a Californian beach, Sammy the sea turtle is unaware of the incredible adventure he is about to embark on. 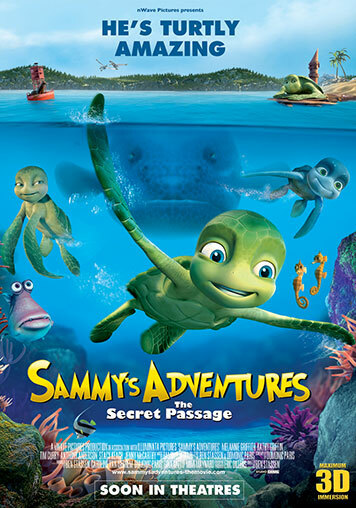 During the epic journey across the oceans that all turtles accomplish before returning to the beach where they were born, Sammy will have to dodge many dangers. With his best friend Ray, he witnesses how humans are hurting the planet but also how others try to protect it. After battling with piranhas, escaping a fish eagle and searching for a mysterious secret passage, will Sammy ever return safely home?